After teasing and releasing a trailer for a new Netflix doc entitled Homecoming: A Film by Beyoncé, the day the Beyhive has been eagerly awaiting has arrived – with the film dropping today. 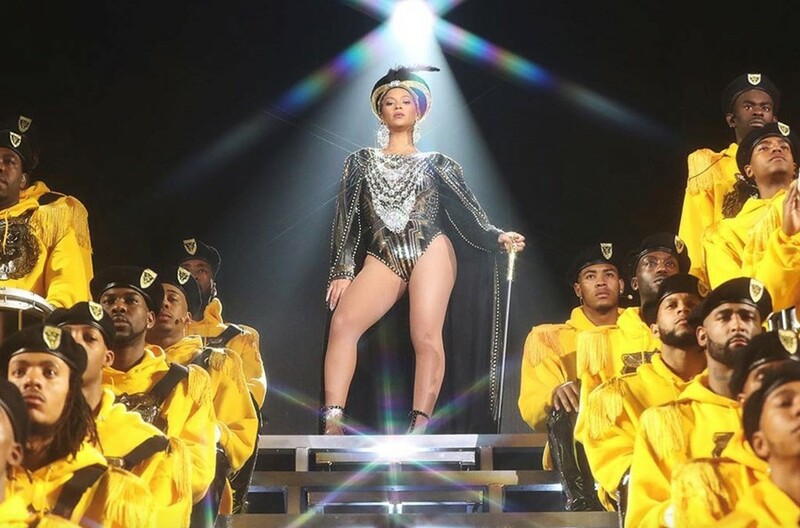 The two-hour-long film features Beyoncé’s epic set from the second weekend of last year’s Coachella festival – forever known as #Beychella – with behind-the-scenes footage and a look at the rehearsals too. There’s also wholesome footage of Blue Ivy learning choreography in the studio and a rare glimpse of twins Rumi and Sir. And there’s more! In addition to the documentary, Beyoncé has also released a new live album featuring 40 tracks including classics like “Crazy in Love”, “Baby Boy”, and “Say My Name”, as well as a number of Destiny’s Child hits. Fans: go wild.